I can’t help but start my review with a cliché observation, time flies. 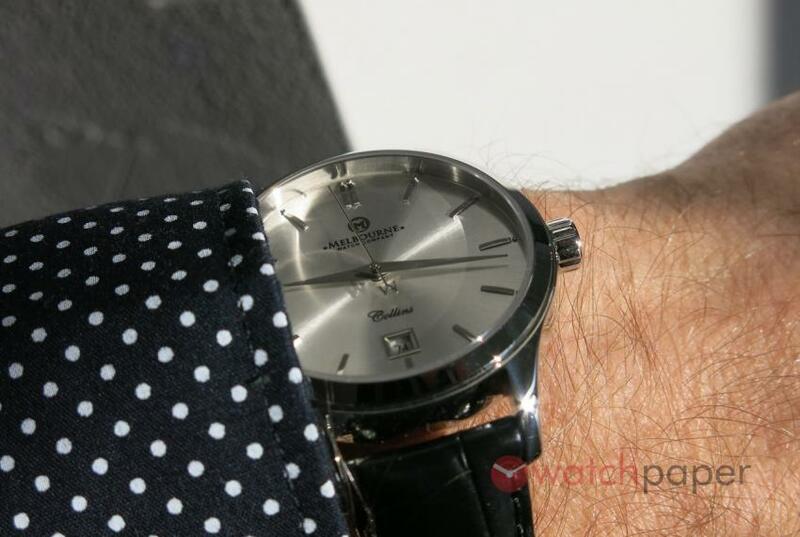 Exactly three years ago, I posted the story about the birth of an Australian brand, Melbourne Watch Company, that was presenting their debut model the Flinders Automatic, named after a Melbourne landmark. While to me, it seems like it was yesterday, these three years were used by Sujain Krishnan to take his company to a completely new level, becoming a rising star of the crowded microbrand scene. Just a quick glance at their lineup of timepieces will reveal a wide selection for men, for ladies — dress watches, chronographs, pilot pieces, diver watches — they even opened a showroom at 458 Swanston Street, a short walk from Melbourne Central metro station. If they will continue to keep this accelerated pace of development, Melbourne Watch Co. is on track to become an Australian Christopher Ward. Sujain emailed me that he’s sending me two watches to review, but he did not specify which ones and when I received the parcel, I was really surprised to find two watches of completely different style: the black Sorento, a diver with bold dimensions and a dressy automatic Collins 38 with a stunning silver dial. There was no way for me to combine my review of these two watches into one article, they are way too different, so, let me start with the Collins. 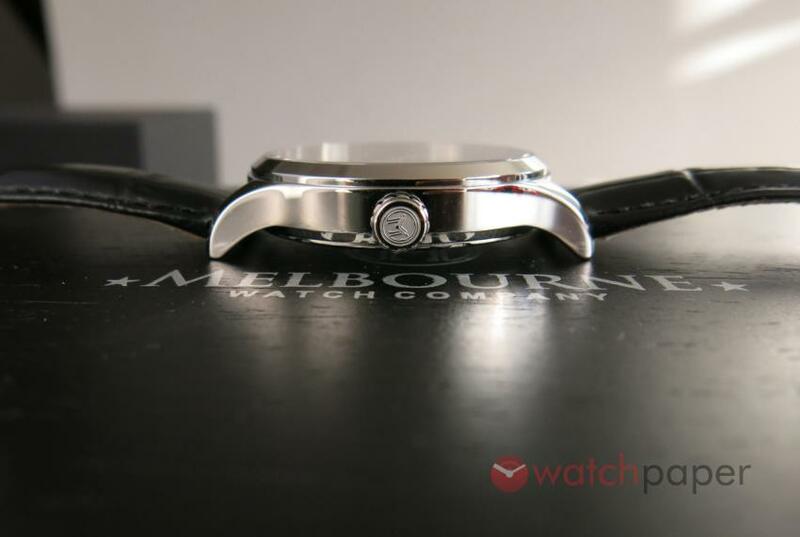 As with every watch from the Melbourne Watch Co., the Collins is named after a Melbourne landmark, Collins Street. To me, Australia is still on my list of places I’d like to visit, and I have to recognise that I know very little about the beautiful city of Melbourne. Thanks to Google, it turns out that Collins Street is regarded as Australia’s premier street, the Champs-Élysées of Australia, known for its Victorian architecture and home to high-end boutiques and financial institutions. The first time when I opened the presentation box of the Collins and the light hit its sunray finished dial, I let out an involuntary “Wow!”. I think it is a watch that represents well the street it was named after. 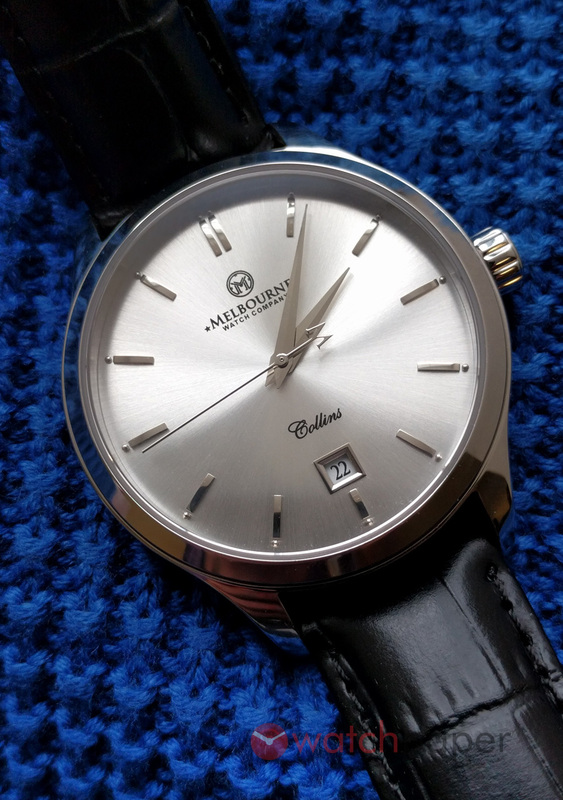 There are two main models of the Collins collection, both having a diameter of 38 mm and a height of 9.7 mm, a sweet proportion for dress watches with a classic look. First, I would mention the two-hands, pointer date and moonphase model, powered by a Miyota quartz movement that comes in several dial and case colours. Really gorgeous looking watches. Then, we have the three-hands and date model, powered by the automatic Miyota 9015, that also offers several choices: blue, black, grey or silver dial, with stainless steel case as my review sample or the beautiful combo of silver dial with gold plated hands and case. I’m quite glad that Sujain picked the stainless steel model with the silver dial for this review, it stands out from the lot, it has something special, a mysterious charm and the more I was wearing it, the more I fell in love with it. While wearing it, there were plenty of occasions that I felt that I have to capture the moment, the way the stainless steel indexes or the hands would emerge from the dial or fade into it, depending on the light is a breathtaking experience. I would pull out my phone to take a picture, but I would end up with a bunch of blurry images. My phone could not handle the lack of contrast of the dial. 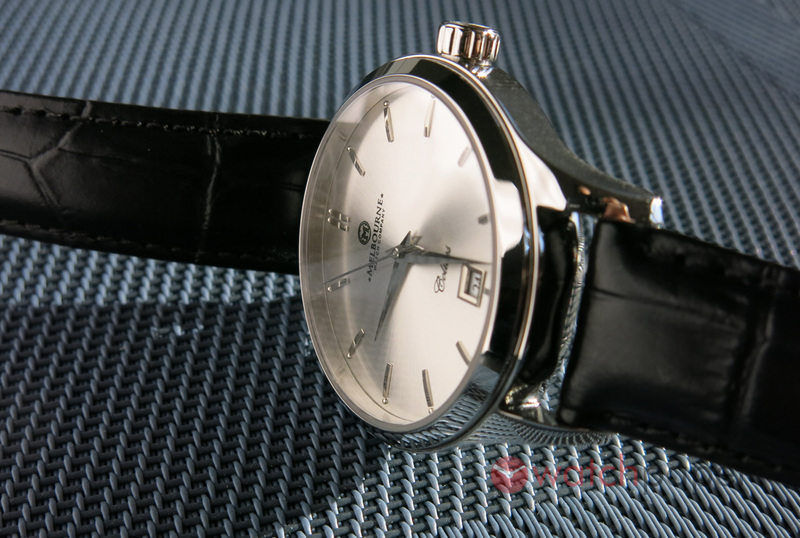 The silver dial Collins is not the kind of watch that you can just glance at and tell the time, you need to catch light hitting the faceted dauphine hands and the indexes at the right angle. For those looking for more contrast, the other Collins models are safer choices, but if you are like me, enjoying a bit of mystery, this is what you want. The Collins is a dress watch, an accessory to make your wrist look fancy, for occasions when you don’t care about time, after all, time is the ultimate luxury. Even the way the dial is laid out, the fact that there are only hour divisions, leaving out the minute marks, imposes a carefree attitude. Melbourne Watch Co Collins — the only sharp image I managed to capture with my phone. 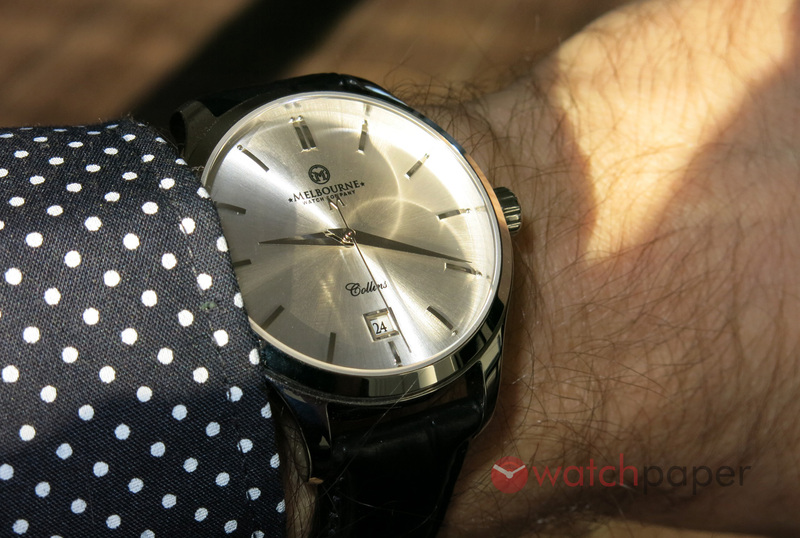 While wearing it, there were plenty of occasions that I felt that I have to capture the moment, the way the stainless steel indexes or the hands would emerge from the dial or fade into it, depending on the light. I would pull out my phone to take a picture, but I would end up with a bunch of blurry images. My phone could not handle the lack of contrast of the dial. The silver dial Collins is not the kind of watch that you can just glance at and tell the time, you need to catch light hitting the faceted dauphine hands and the indexes at the right angle. For those looking for more contrast, the other Collins models are safer choices, but if you are like me, enjoying a bit of mystery, this is what you want. The Collins is a dress watch, an accessory to make your wrist look fancy, for occasions when you don’t care about time, after all, time is the ultimate luxury. Even the way the dial is laid out, the fact that there are only hour divisions, leaving out the minute marks, imposes a carefree attitude. Placing the date at 6 o’clock gives the dial a balanced layout, and above it, there is the name of the model, printed using a calligraphy font. I commend the courage to leave out the AUTOMATIC inscription from the dial, it would have been an unnecessary clutter. The geometry of the polished stainless steel case is straightforward, without any unnecessary embellishments, in line with the less-is-more principle. The branded crown offers a good grip, adjusting the time is a smooth experience. The back of the watch reveals the movement and the engraving around the crystal is top-notch. 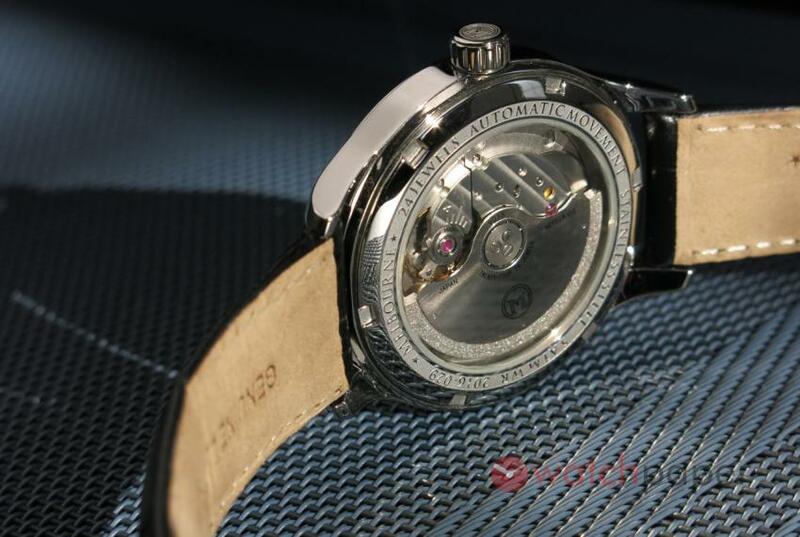 The rotor is decorated with the Melbourne Watch Co. logo, adding a little extra to the familiar 9015 movement. 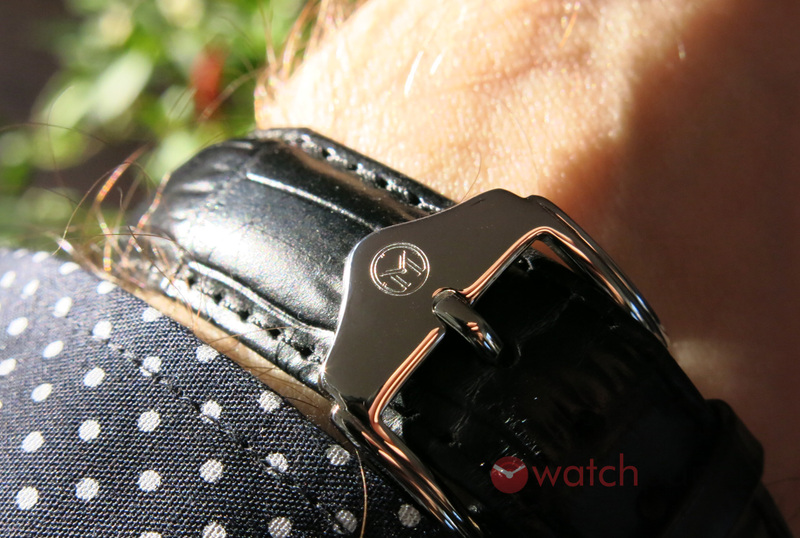 The watch is matched with an 18 mm black leather strap with a beautiful branded buckle. 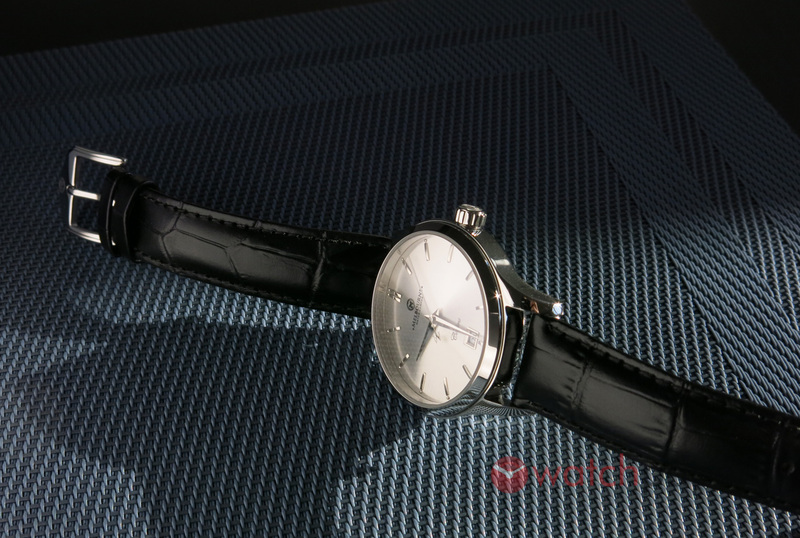 The Collins is delivered in a very elegant presentation box, I would say it is a step up in quality and sophistication, compared to previous models I’ve seen from Melbourne Watch Co., and those were already quite nice. There is a lot to love about the Collins, the size, the finishing, its thoughtful simplicity, the magic of the dial, but as I said, if you prefer more contrast, take a look at the other models in this collection. 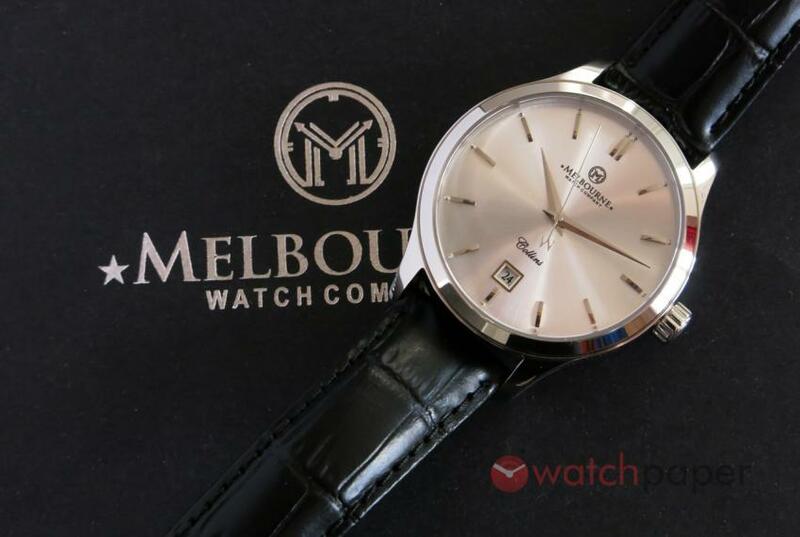 The automatic Collins retails around $660 CAD and you can order it directly from Melbourne Watch Co, or if you happen to be in Melbourne, pay them a visit at their brand new showroom,.